For Tom Hall, creating content for Softdisk magazine’s monthly disk of games and applications was just the beginning. The real breakthrough came when Hall and John Carmack pulled an all-nighter recreating the first level—and, more significantly, the smoothly scrolling graphics—of Super Mario Bros. 3 on the PC. It was a feat considered impossible by most developers. PCs lacked the graphical horsepower to scroll graphics across the screen as smoothly as the NES, the dominant platform for side-scrolling games at the time. Then Tom Hall teamed up with John Carmack to prove an entire industry wrong. Their resulting demo, dubbed Dangerous Dave in Copyright Infringement by Hall and Carmack, set the stage for the making of Commander Keen, a series of sidescrolling platform games and a character born of Hall’s boyhood dreams. Now, Tom explains the genesis of Commander Keen: Invasion of the Vorticons, the first trilogy of episodic adventures; the influences that colored the world inhabited by Billy Blaze; how releasing Commander Keen games as separate episodes gave id Software its start; and why Tom wishes he could have been just like Blaze during his youth. How did the Super Mario Bros. 3 demo become the foundation for the first Commander Keen trilogy? When we couldn’t do Super Mario, we talked about what to do. I said, “I can do anything.” Carmack said, “A kid that saves the galaxy or something.” I was so there. I left for 15 minutes, wrote the paragraph you see in the game, read it to Carmack in a Walter Winchell 40s newscast voice, and Carmack applauded. That was it. Was your idea for the Commander Keen game entirely spur-of-the-moment? It was a spur of the moment culmination, but it was also sort of me as Walter Mitty. I had the red and black Converse [sneakers] when I was a kid. 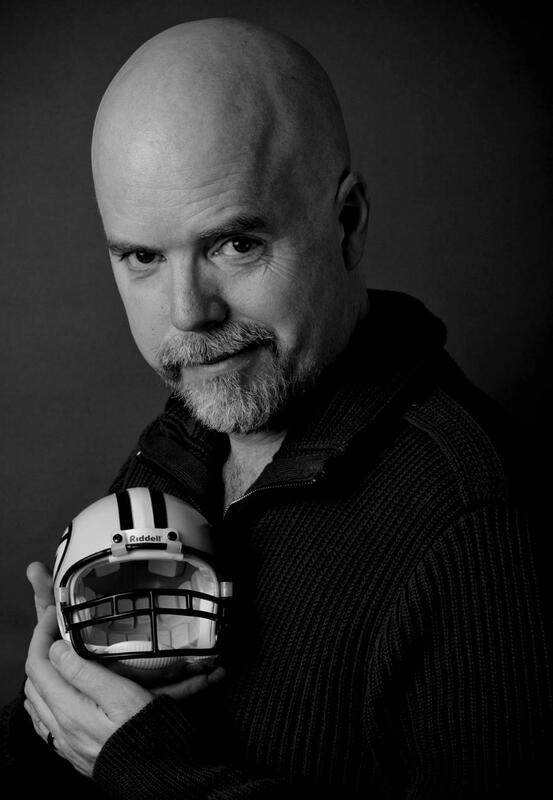 I had a Packers [helmet]. I dreamed of space. Keen was really me. Keen just came to me. Ideas just come to me. They just seem to come out of the ether, but really, as I listed, all the ideas of all these different stories and visuals and heroic kids were all swirling around. Steve Jobs said “creativity is just connecting things.” And with all those inputs and my dreams, he [Keen] just formed. All of my characters seem to have two lives, two forms. One normal version and one extraordinary one. I seem to be focused on the different versions we present, or the people we want to be versus what we are. 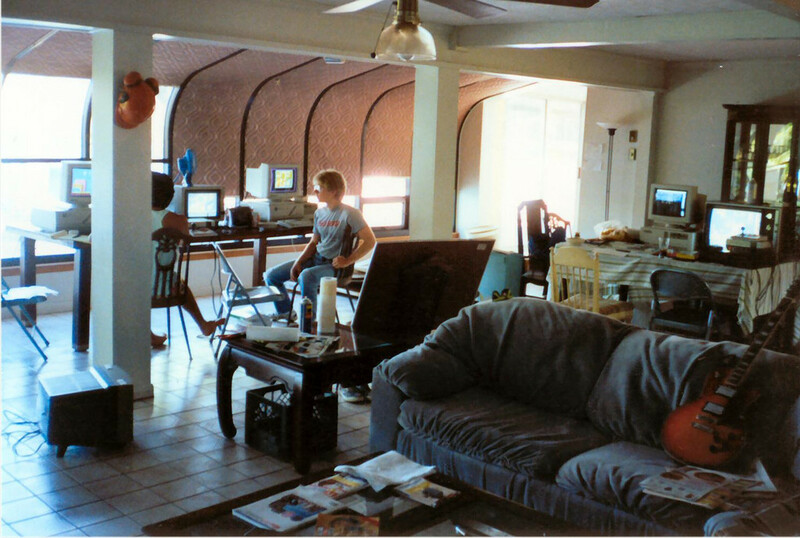 A photo taken by Tom Hall in September 1990, at the lake house in Shreveport, LA, id Software’s first office/bachelor pad. In the background, John Carmack (right) and John Romero work on the Super Mario Bros. 3 demo for Nintendo. Sitting in between their computers is an NES running Super Mario Bros. 3, which the “two Johns” played frequently to make sure they nailed the feel of the game. To the right, a desk holds Hall’s equipment: a 386/33MHz PC running DOS, and an NES running Super Mario Bros. 3. To capture the exact look and feel of the NES classic, Hall paused the game and duplicated the artwork pixel by pixel. Photo credit: John Romero. 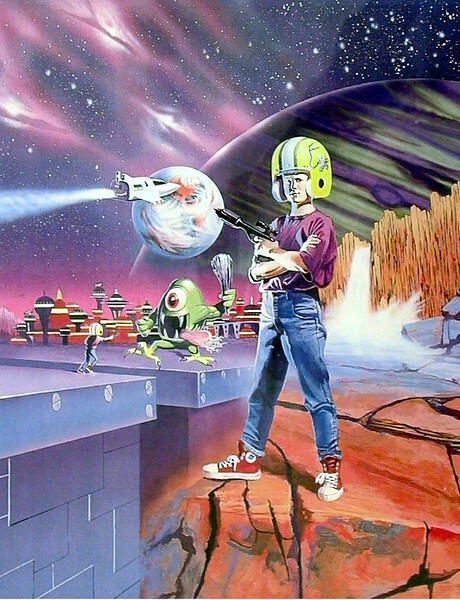 What were some of the influences that influenced your creation of the Commander Keen character and his world? It was mostly Chuck Jones’ Warner Bros. cartoons, like “Duck Dodgers in the 24th and 1/2 Century,” “What’s Opera, Doc”, and so on. Plus the old sci-fi serials. Plus a little short story called “The Available Data on the Worp Reaction” that I read in a sci-fi anthology, where an autistic kid slowly collects a pile of junk from the junkyard next door, then assembles it, gets in it, and it hovers with anti-gravity for a bit, then he takes it apart piece by piece. Plus hero kid books like Encyclopedia Brown, The Nose Knows, and The Mysterious Inventions of Alvin Fernald. What was the appeal of casting a child as the protagonist instead of, say, a big burly action hero? It was me. It was my hero fantasy. It seems it was the hero fantasy of a lot of folks, too. I was a brainiac introvert as a kid and got picked on for it. I was so geeky, I got kicked out of a clubhouse by my blue-collar-type friends when I was a kid. So this was me being the extrovert and being smart, plus having that clubhouse I lost. It was my hero fantasy and, in a way, my revenge against being picked on, excluded. In this universe I made up, I was the hero, and being smart was rewarded. 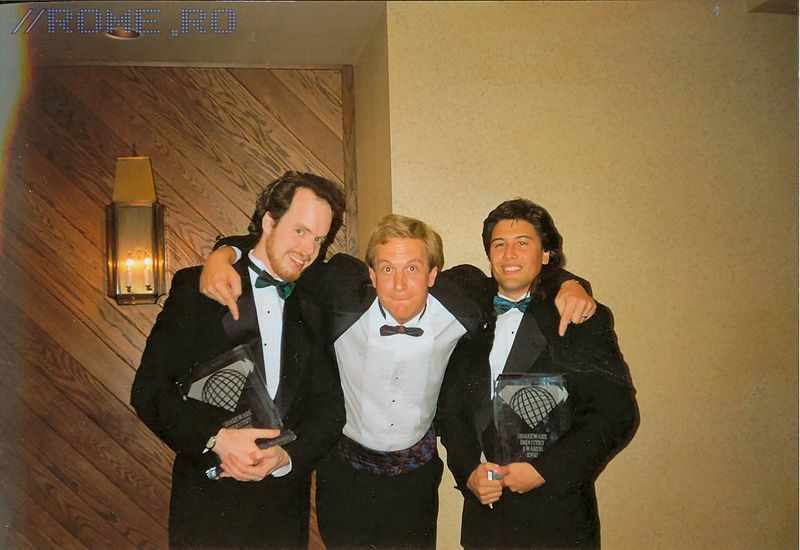 Scott Miller, the founder of Apogee, was a big fan of Gamer’s Edge and John Romero, and made contact with John by sending him fan letters under different names. He talked you all into publishing Commander Keen through his company, Apogee. Unless I’m mistaken, the Gamer’s Edge crew was still under contract at Softdisk while developing Commander Keen for Apogee, correct? How’d you work around that little detail? We did Commander Keen by moonlighting at night and on weekends for two and half months. We were working ceaselessly. I don’t remember if we actually had non-competes [non-competition clauses], but they weren’t happy when it came out. We agreed to keep doing a year of games so they wouldn’t sue us. I stayed there in transition for a few months to train a replacement, working at id at night and on weekends. You and the id crew wore a lot of hats, but people still associate Commander Keen primarily with you. Do you think you could define your main role on that game? First and foremost, I was the game designer. But I also did about 80 percent of the art. Adrian [Carmack] came on the team in the middle, and you can see the enemies in the last episode are clearly better than the first. Mario 3 served as a fitting inspiration for Commander Keen. Not only was it powered by a sophisticated scrolling engine, but it was deeper than its predecessors. What other ways did Super Mario influence your design of Commander Keen? Oh, Mario was genius. Miyamoto’s sense of the hidden; cute but menacing creatures; clever mechanics introduced over time; variety of levels—just brilliant. Most of the levels went from left to right. The ways tiles go together. The way you communicate danger. Collection. I mean, Mario games invented the language of platforming. I feel super fortunate I later got to kinda invent the language of first-person shooters. Tom Hall created the Standard Galactic Alphabet (SGA) for the Commander Keen series. Hall wrote messages in SGA and scattered them throughout the game as Easter eggs for inquisitive players to find. I love the names of people, places, and things in Keen’s world, such as the Bean-with-Bacon MegaRocket. What were some of your favorite names? The MegaRocket was inspired by names from Warner Bros’ cartoons and Hitchhiker’s Guide to the Galaxy, and lots of jokey takes on cheesy TV products. So I added that as a detail, just flowing out in that quick 15-minute origin story. Dopefish was my “Bugblatter Beast of Traal” from Hitchhiker’s [Guide to the Galaxy]. It’s described as the “second dumbest creature in the universe”, since the Bugblatter beast is #1. I love names that have double vowels. They make me laugh. Foob. Boobus Toober. Bloogs. I found it interesting that you took some gameplay mechanics away in every new episode of Keen. For example, no pogo stick for Keen in Keen Dreams. What made you decide to remove that particular mechanic, and add new ones such as crouching? Well, new things were added, gotta keep stirring it up! And the pogo stick is really powerful for [ascending in levels]. Gotta use that sparingly or make huge levels. Plus Keen Dreams was in his nightmare, so he would feel less empowered and more in danger. Along the same lines, you swapped out the blaster for flower power in Keen Dreams. What was the motivation behind this change? That was a reaction to parents complaining about the violence in the first—which was intentional, to teach that there are repercussions to your actions. It [flower power] made it interesting in that things weren’t out of commission forever; they came back. Always trying new ideas, seeing what is interesting. 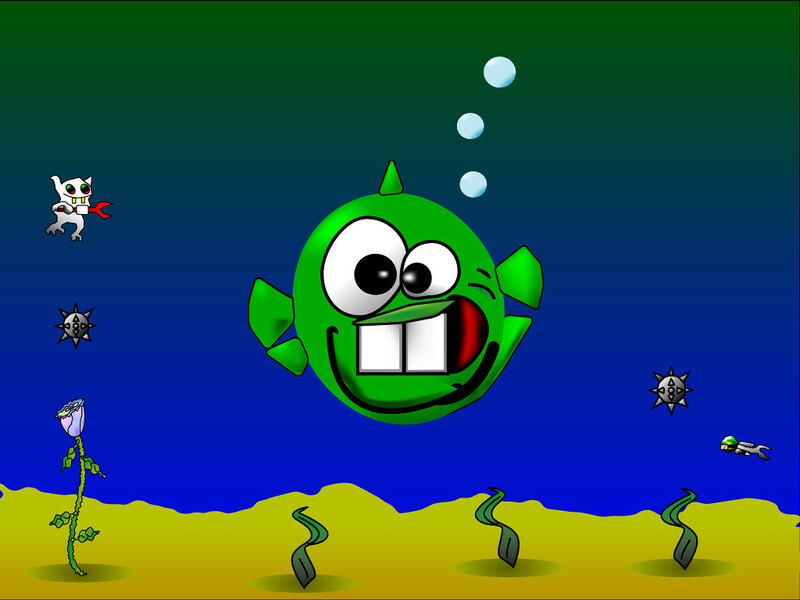 Tom’s Dopefish character popped up in many games during the 1990s and 2000s. Commander Keen maintains a nice balance of humor and sobering realizations, such as enemy bodies sticking around to remind players of what they had to do to progress. Did you give thought to striking that balance, or did it just work itself out while you focused on making something fun? No, that was a conscious decision: your actions have consequences. That’s good for a kid to learn. We later changed to a Neural Stunner and did stars around the monster’s heads, because parents for some reason don’t want any reality to be taught to their kids. I saw characters commit suicide in cartoons as a kid, and didn’t think anything of it, because I was taught that that wasn’t reality. And having smart references that people may not get it is fun too. Just gives depth for those that notice, like the Standard Galactic Alphabet. Commander Keen featured a fun, colorful, and deep universe, but the technology of the day wasn’t exactly cut out for modern amenities like scripted events and cutscenes. How did you convey some of the messages you wanted to pass on to players through Keen, given the technology you had to work with? Well, framing with a bit of story, then showing the story through the levels instead of telling—that worked. In later Keens, we had a bit more framing text, back-and-forth dialogue for a sentence or two. That’s enough to give you a sense of purpose. Many gamers prefer to just play games and ignore the story. Yet, they’re bound to notice certain elements (colors, NPCs’ reaction to the player’s actions, and so on). They absorb the world, characters, and story through osmosis, even when playing a game where story is virtually nonexistent. What steps did you take to pull in players who didn’t care much for story? It was just a fanciful universe. You don’t want to have too much story. Like in Parasite Eve, you see a long cinematic, get to walk up a red carpet, then see another long cinematic. Some game [designers] are frustrated movie makers with token gameplay in [the games they make]. Beyond that bit of framing story, you just want to create a consistent universe. If you create a fun to control character, and have the enemies act in a funny, consistent way, the joy is there even if you don’t get into the pure context of it. But I never put so much story in that you were just waiting to get into the game. Keen 1’s story is just in the menu mostly. The end uses story as a rewarding finish. And Keen 1’s is a cliffhanger to get you to want Keen 2 and 3! You went so far as to create your own alphabet for Keen’s aliens. What was your motivation for that? My mom gave me a love of cryptography. I love secret codes, puzzles, and so on. My childhood was filled with puzzles, cyphers, and such. I love that, so I made a sign for the EXIT, but I wanted it to be in “alien language” but recognizable as an exit sign. So I drew those four characters, then thought, It would be fun to have a whole alien alphabet on signs and stuff. It grew from there. It is just another fun secret to discover! I’d like to talk more about your sense humor, which finds its way into most of your games. Colleagues have described you as an energetic guy who loves to be funny, and who is likely to blurt out sounds and quotes at any moment. Where did those tendencies and quirks come from, do you think? I always made sounds effects and stuff as a kid, and my folks didn’t stop me; they just let me be creative. They are amazing folks. I was lucky. Also, our family was always joking, telling puns, trying to say the next funny thing, so I just grew up with that sense of humor as a constant thing. I can’t turn it off. Designing shareware episodes interests me. 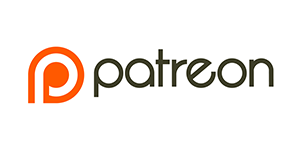 You have to give the players enough to whet their appetite for more, yet not so much that they skip the pay-to-play episodes because they feel they’ve seen enough. For example, episodes 2 and 3 of Doom presented new enemies, guns, and environments, which made me want to pull out my wallet (well, actually, my parents’ wallet) and go beyond the free shareware episode. Did you think ahead to spreading out such elements when creating Commander Keen, or did you focus more on one episode at a time? Scott Miller had the idea of the trilogy, like Star Wars, but the first [episode] is free. It was a good sales idea. We made the games in sequence. Romero helped on the levels for episode three because we wanted to get the dang thing done. We were just flowing, we knew what to do, how much to include. We’d made a bunch of games together, and they just came out. I just designed what I wanted. I think I asked Carmack how many enemies we could budget. 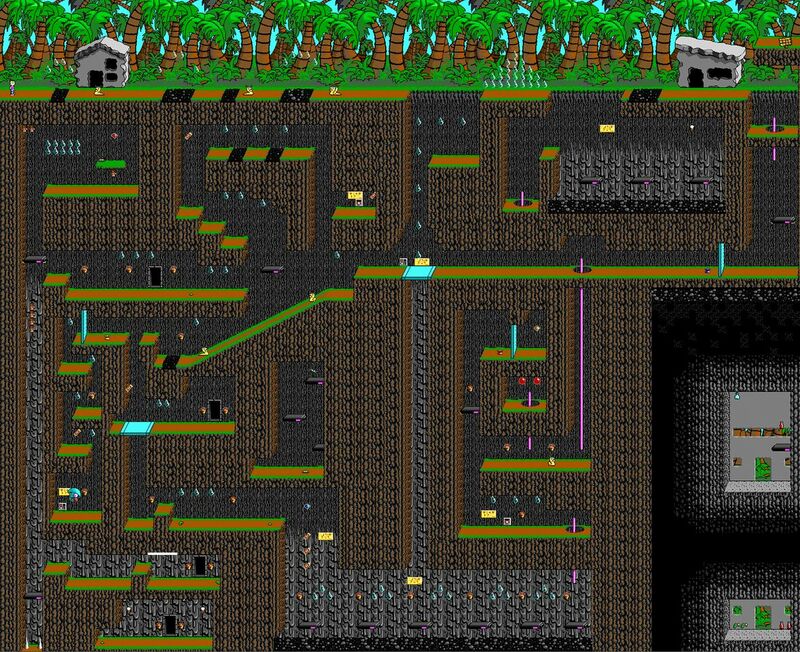 An expanded view of Isle of Tar, a level from Commander Keen Episode IV: Secret of the Oracle. Screenshot courtesy of John Romero. What did you enjoy most about designing Commander Keen? It was really fun thinking of things that pretty quickly came to life. Sonic the Hedgehog came out and had a rotating spiky bar you run across. I surprised the guys with that by staying up and doing the graphics and setting up tile animations. Then we put it in, but with energy posts instead of spikes. What was the most difficult aspect of designing Commander Keen? Well, we did the original trilogy so fast. It was create and go. Coming up with new ideas was fun. Like having to turn out the lights to get past Vorticons. It was just a flow of ideas. The original trilogy was a joy. The angle perspective of the next three games made them much more arduous to put together, a lot of fiddling with edges and stuff. How did you discover that Commander Keen was taking the shareware world by storm? We got our first check for $10,000. We looked each other and said, “We can live on this!” It was a revelation. We could have our own company making games and making a living. The brass ring had arrived. We had to reach for it! Is that level of success something you ever imagined? Do you recommend any budding developer shoot for that level of success, or should they keep their focus elsewhere? We were just excited to make the games we wanted to play. That should be your goal. Make yourself happy. Make meaning for others. Don’t worry about the money. That’s the short term pleasure focus, and a mistake. Focus on what you absolutely love, and what would be meaningful to others. Then if the money comes or not, you made what will make you happy. What lessons did you learn from Commander Keen’s development? Trust your gut. Make what you love. Keep that childlike sense of wonder, exploration. Be open to what you could do, what would be cool, what would be different. Why do we need this game? What makes it new and fun and cool and its own thing? What do you hope gamers took away from Commander Keen? A sense of wonder, of childlike adventure, of laughing, of the smart geeky kid getting to be a hero. What are some of your fondest memories working on the Commander Keen episodes? Just the four of us working endlessly together, each in pure creation mode—tools, game, design. We were just flowing, a set of folks each doing their part to the best of their ability. No production. No design docs. Just flow.